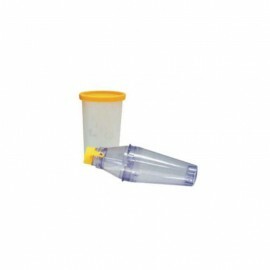 The spacer for aerosol to be used with Metered Dose Inhalers for treatment of asthma. The spacer chamber is indispensable for improving the effectiveness of inhaled medication with all metered dose inhalers. It prevents impact of the drug with the oropharynx and generates a fine suspension that penetrates right into the respiratory tract. 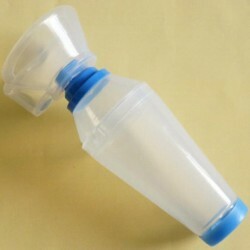 Use of the spacer is recommended by national and international guidelines on the correct treatment of asthma.